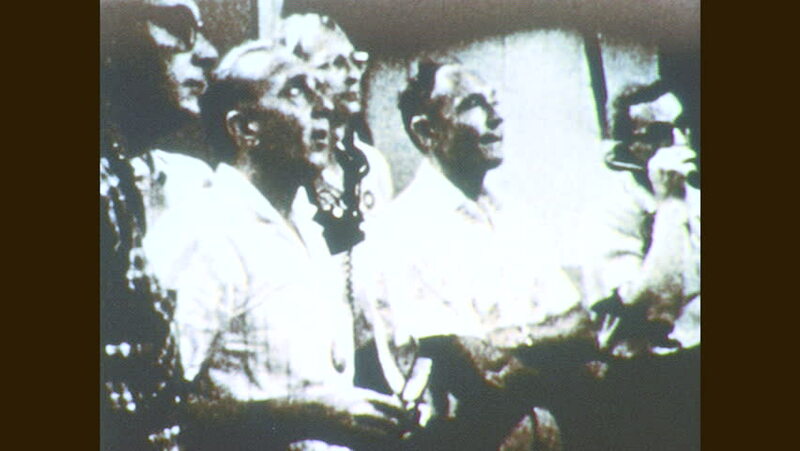 1960s: Men observe launch. Man with headset speaks. Men observe tools. Man places pipe in mouth. hd00:271970s: Divers on water surface. Men talking on ship. Diving station rises from water. hd01:55CIRCA 1960s - On the second day, Jim Lovell aboard Gemini XII takes photographs of the Solar Eclipse, and Buzz Aldrin performs his first EVA, in November 1966.
hd00:15A Beautiful Waterfall In Tropical Venezuela.L. hd00:131950s: Two men with their backs turned to each other prepare a duel, man with hat signals, the men walk with guns. Man turns around, shoots. Man gets shot, fires gun, falls, two men come and hold him. hd00:231940s: UNITED STATES: view of tree trunks. Yosemite National Park. Waterfall and spray creates rainbow.